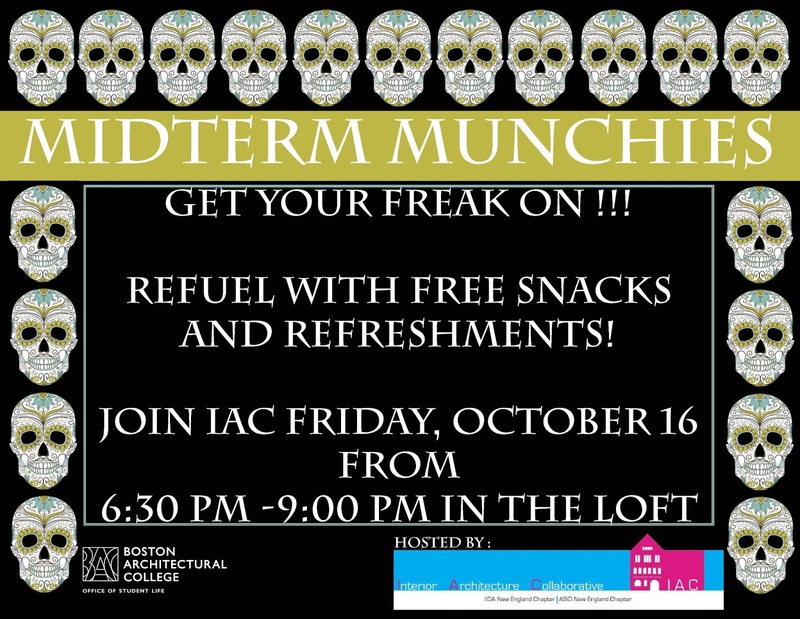 Midterms are almost here. 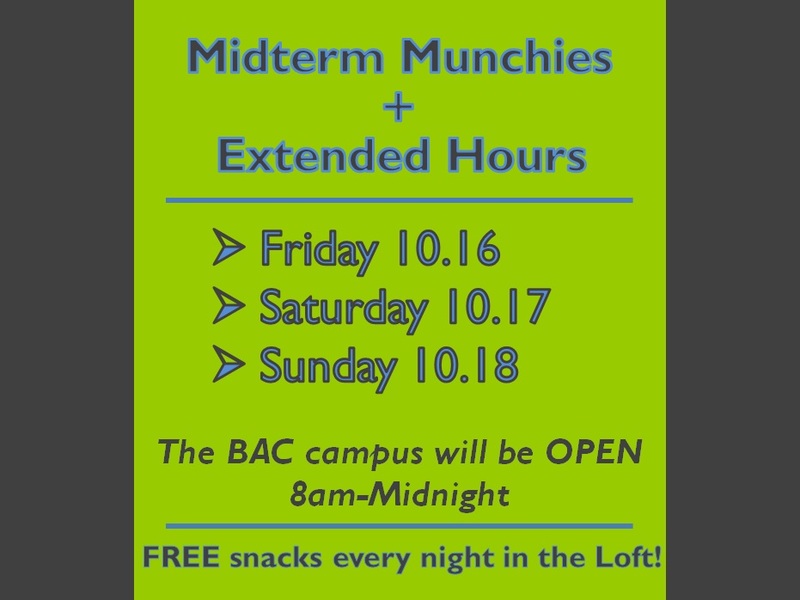 The BAC is extending campus hours on Oct. 16-18th to be open til midnight! 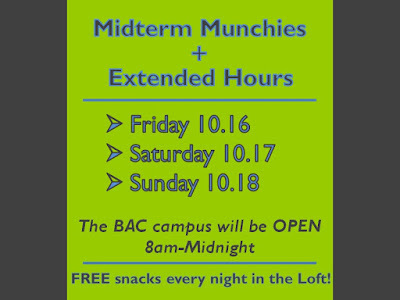 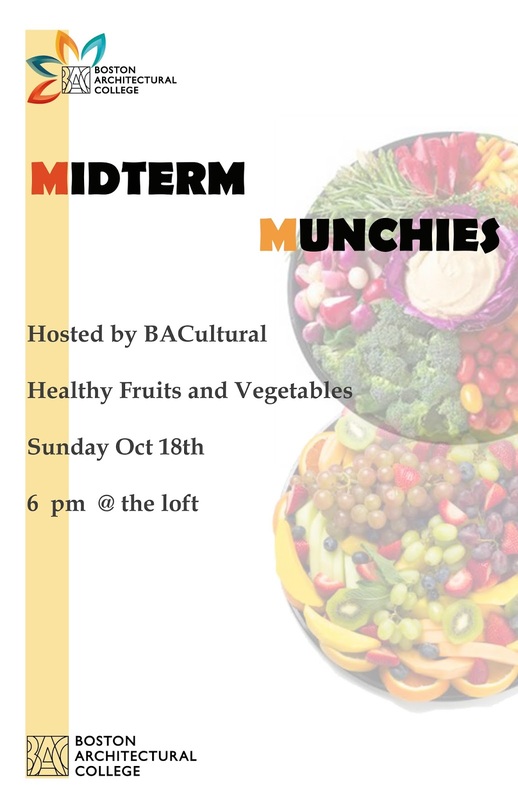 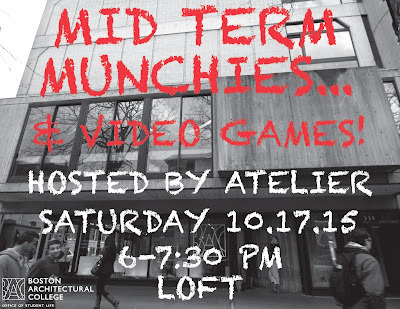 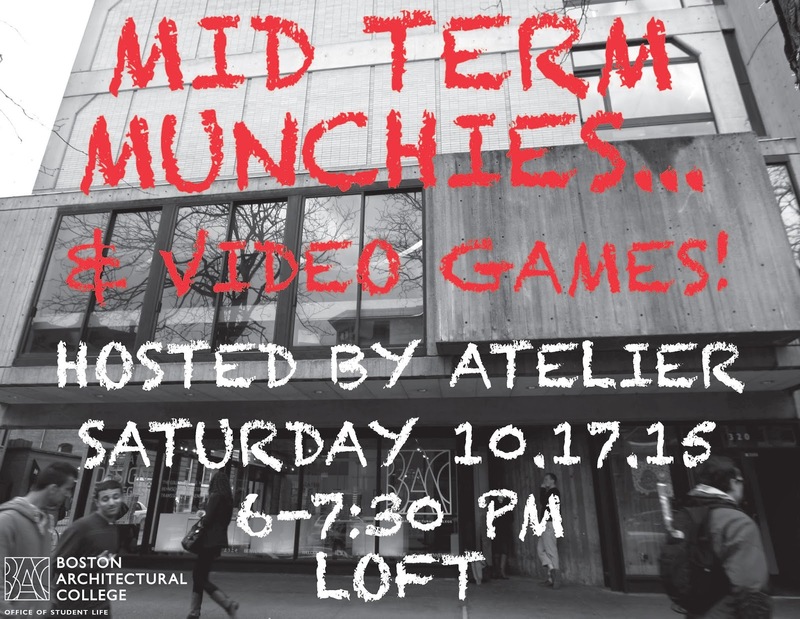 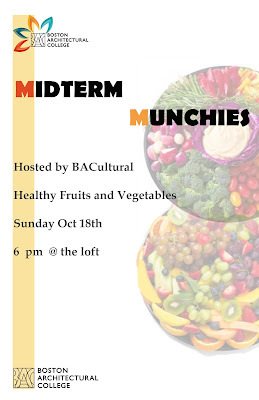 To support this and to help you get through midterms, our student organizations will be providing FREE snacks every night in the Loft!